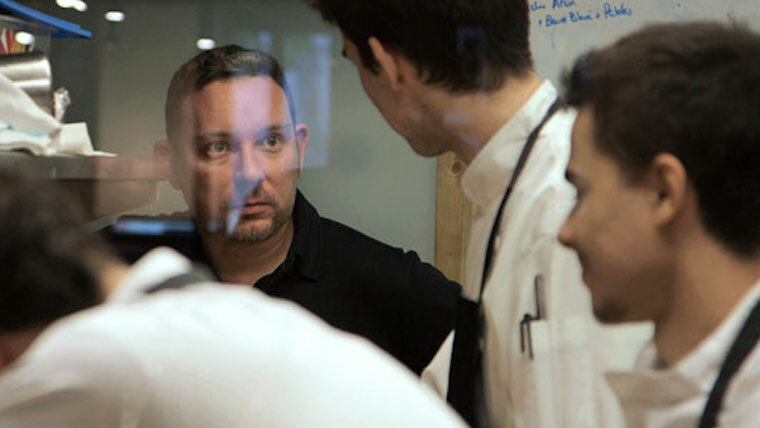 SYNOPSIS: After the closing of Spain's legendary elBulli, the restaurant's unsung creative genius Albert Adrià, the younger brother of head chef Ferran, embarks on a herculean new endeavor-opening six completely unique restaurants in the heart of Barcelona to create a miracle mile of haute cuisine. Filmmakers Laura Collado and Jim Loomis chronicle Albert’s journey from 2013 to the end of 2016. It offers an incredible opportunity to examine the raw creativity of a man obsessed with reinventing food concepts and expanding the way people view gastronomy. It's official: Constructing Albert will be at SXSW in the Best of Fest section. The most important revolution in culinary history took place in a remote cove on the Catalan coast. The Big Bang of creative discovery that was elBulli sparked from the minds of two brothers from a poor suburb of Barcelona, and gave birth to a new gastronomic universe. 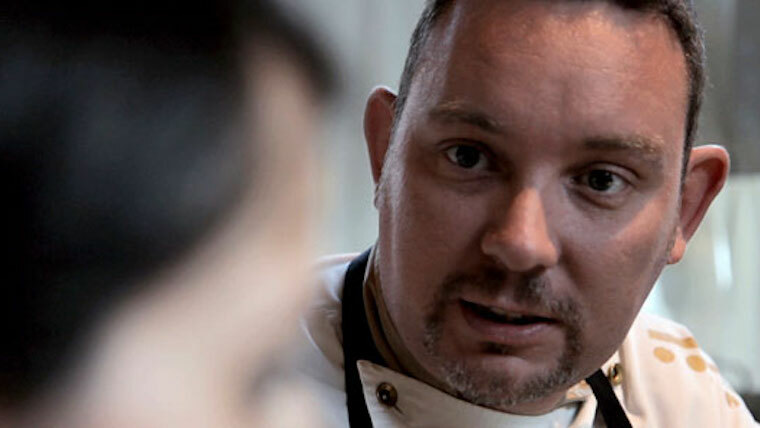 Since then the name Adrià has become synonymous of creativity. Ferran is the famous maestro people know, however, with 29 years of a brilliant career behind him, the only recognition Albert has achieved is that of being the most underrated chef in the world. At just fifteen, without vocation or aspiration, Albert reluctantly started working with his brother. He soon found in cuisine a blank canvas on which to experiment and express his previously untapped creativity. 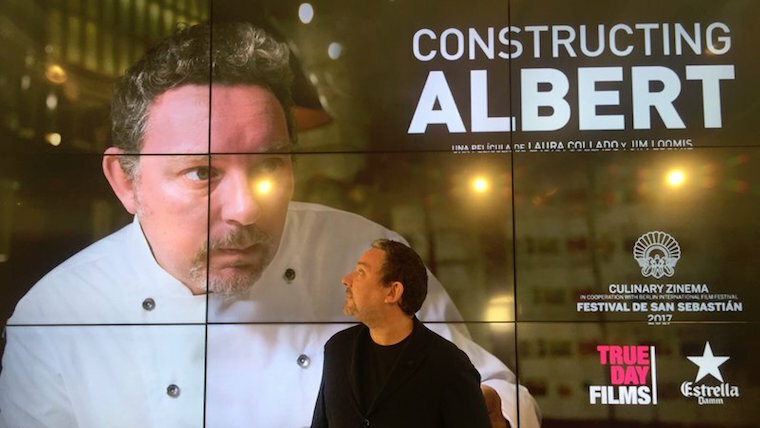 A character full of contradiction, Albert’s career progressed far from the media spotlight that shone on Ferran during the rise of elBulli. A self-proclaimed outsider, Albert has never sought fame and fortune. He concentrated in fighting the monsters of pure creativity, leading elBarri Taller, the R&D department that came up with the innovations and techniques which lead elBulli to the pinacle of global cuisine. Two years after elBulli closed its doors, Albert is in the midst of a herculean creative adventure. In Parallel, Barcelona’s crumbling theatre district, Albert is building a gastronomic mile. At the heart of this growing empire is Tickets, a restaurant in which nothing is impossible, elevating the humble tapas to haute-cuisine. Next door 41° shines with a special light. Conceived as a mini elBulli seating just sixteen fortunate dinners, it explores the heights of culinary creativity. Albert’s fertile vision does not stop there: Pakta, japanese-peruvian fusion with the Adrià stamp; Bodega1900, a homage to Catalan vermouth culture; Hoja Santa, an immersion into the depths of traditional mexican cuisine; and Enigma, his most ambitious project, and the one he hopes to turn into one of the best restaurants in the world. Each very different from the other, they all bear his personal signature. This is Albert’s proclamation of self-assurance, his attempt to escape the shadow of the now legendary elBulli and enter the Pantheon of great chefs. This is Albert constructing himself.